Alexander Gonzalez calls it the most interesting marketing company in the world. As CFO of TEAM Enterprises, Gonzalez oversees the financial operations of a company with a wholly unique approach to marketing. TEAM comprises 400 employees and 13,000 brand advocates, leaving the largest experiential marketing footprint in the nation. Founded over 25 years ago, TEAM has worked with some of the most valuable and most innovative companies in the world, including Google, Mercedes, Coca-Cola, Ford, and Bacardi. Gonzalez was born and raised in Miami. His parents migrated to Florida from Cuba in the 1960s, escaping the dictatorial Castro regime. Though his parents struggled initially as they learned English and acclimated to a new culture, they both became successful business owners in the US. They also instilled a strong work ethic into their son. Gonzalez took charge of finance for TEAM Enterprises in 2007 to prepare the company for an acquisition which resulted in the successful sale of TEAM to holding company MDC Partners in 2010. Prior to joining TEAM, Gonzalez was the global corporate compliance manager for Bacardi Limited, which is the largest privately held spirits company in the world. “That was a great opportunity to learn every aspect of a global entity while establishing controls over their financial reporting processes,” says Gonzalez, who already had a background in finance and accounting. 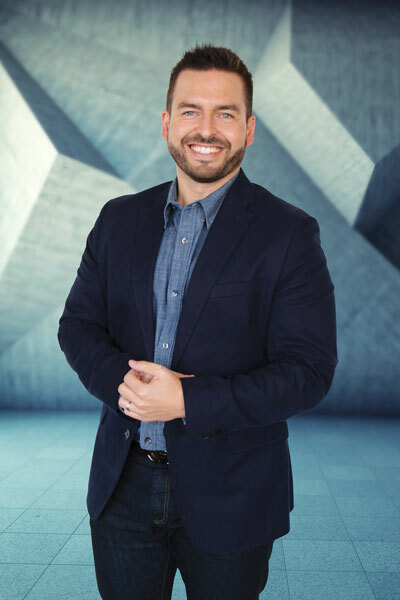 TEAM is such a unique enterprise that Gonzalez has an ever-evolving role, particularly when it comes to many of the campaigns that the company embarks upon. In fact, along with many of the key players for TEAM, Gonzalez juggles a variety of roles. In addition to managing the finance, HR, and IT departments, he is also responsible for developing and managing financial strategies. In 2012, he envisioned, designed, and led the implementation of the company’s financial management software SAP as well as its integration to TEAM’s proprietary event-reporting, expense, and payroll systems. Strategic planning is a pivotal task that Gonzalez also handles, while working closely with the CEO. For Gonzalez, being CFO for TEAM requires skills outside of accounting and finance. Gonzales cites, in particular, empathy and leadership as traits that are essential for any CFO. “As a leader, you need to be able to explain clearly and help employees understand what the end game is—and what each person’s role is. Then, you need to teach and motivate your team on how to get there,” Gonzalez says. “Nothing is more important than having the ability to communicate effectively and truly understand everyone’s perspective,” he adds. Marketing has changed so much over the last several years that having people who constantly push the envelope in creativity and innovation is also of critical importance. “Our vision is to be the leader in active engagement,” Gonzales says. TEAM is no ordinary marketing company; much of the its success derives from its distinctive, experiential approach. Gonzalez enjoys both the challenge and the adrenaline that come with starting each new campaign. “Seeing our client’s goals achieved is a great sense of accomplishment,” he says. From a financial standpoint, Gonzalez is especially proud of the growth and brand awareness TEAM has experienced lately. In the past year they have won numerous awards and attracted global recognition for several campaigns. Earlier this year, TEAM Enterprises worked with Bacardi North America for the Night Club & Bar Show in Las Vegas, a significant campaign directed at both consumers and trade. TEAM recognized that Bacardi is a brand that can capitalize on their rich Cuban heritage. Thus, they recreated El Floridita, a Havana bar opened in 1817 that was a frequent haunt for Ernest Hemingway. According to Gonzalez, it was a nostalgic throwback for the brand and a creative way to showcase some of Bacardi’s newest higher-mark rums including the Facundo line and Maestro. And since attendees could take photos from such a Havana-like atmosphere, it generated a lot of valuable user content that was shared via their social networks. Another campaign that was fun challenge for TEAM was marketing for “Ok Google,” the Android app from the search giant. TEAM Enterprises was tasked with securing never-been-done-before locations and implementing the campaign around New York City in just 30 days. The chosen landmarks, ranging from Pier 16 to Katz’s Deli, featured attention-grabbing, site-specific questions that the “Ok Google” app could answer. Gonzalez is energized by the forward-thinking drive that propels TEAM. He points to millennials as the group that is really dictating marketing. Though they are no longer engaging in traditional forms of media—such as television—they are not tuning out experiences. “They crave unique experiences and want to share everything they do, with everyone they know,” Gonzalez observes. As a global leader in experiential marketing, TEAM Enterprises recognizes the value of the one-on-one consumer interaction. With over 13,000 brand advocates, Gonzalez notes that TEAM has a national infrastructure. He also appreciates that the company personally trains its talent and doesn’t rely on outsourcing. “We’ve built a strong foundation within the influencer community across the country,” he concludes, and as far as strength in numbers go, there’s no denying that.